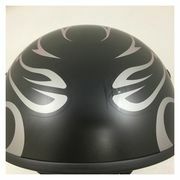 The .357 Half helmet features a small shell design, a retractable sun shield, and removable liner, all for a reasonable price. 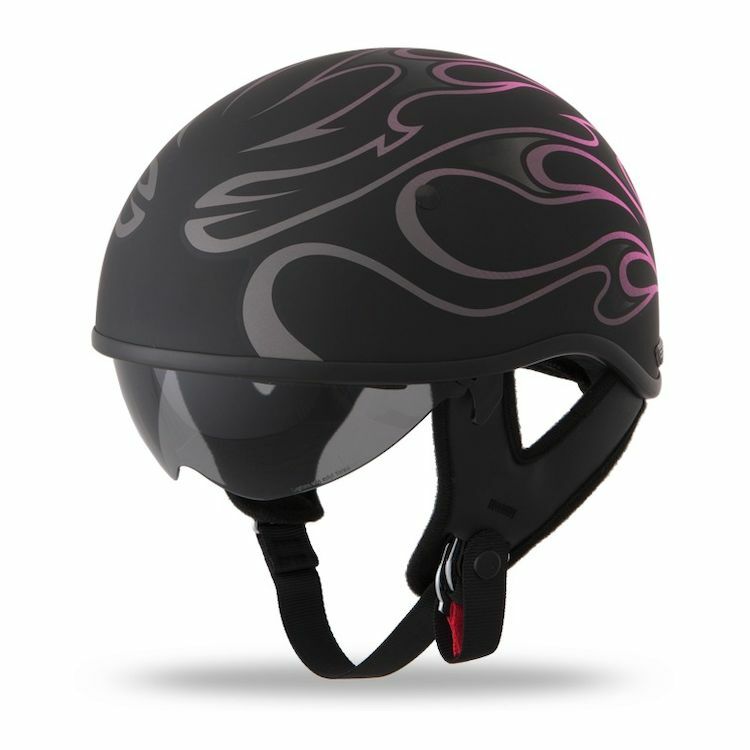 Never wore this style helmet—I highly recommend it. Very comfortable. The only thing negative I can say, is the visor is not enough for the bright AZ sun, and the wind rushes through, so I will purchase some glasses. It was a hit at bike night. She picked it. So that's why. Does it make you look like a mushroom?